A gripping insider account of the clash between America’s civilian and military leadership The Pentagon’s Wars is a dramatic account of the deep and divisive debates between America’s civilian leaders and its military officers. Renowned military expert Mark Perry investigates these internal wars and sheds new light on the US military—the most powerful and influential lobby in Washington. He reveals explosive stories, from the secret history of Clinton’s “don’t ask, don’t tell” policy to how the military plotted to undermine Barack Obama’s strategy in Afghanistan, to show how internal strife and deep civilian–military animus shapes America’s policy abroad, often to the nation’s detriment. 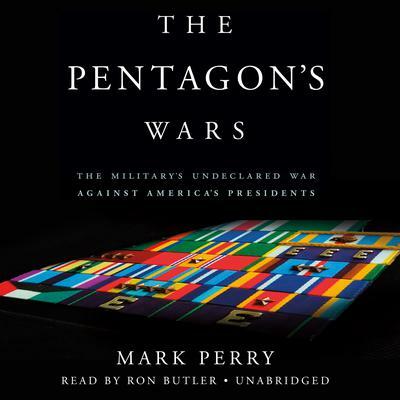 Drawing on three decades of high-profile interviews, both on and off the record, Perry yields sobering judgments on the tenures of our nation’s most important military leaders. The Pentagon’s Wars is essential reading for anyone seeking to understand the inner workings of the making of America’s foreign policy. The Pentagon’s Wars is a dramatic account of the deep and divisive debates between America’s civilian leaders and its military officers. Renowned military expert Mark Perry investigates these internal wars and sheds new light on the US military—the most powerful and influential lobby in Washington. He reveals explosive stories, from the secret history of Clinton’s “don’t ask, don’t tell” policy to how the military plotted to undermine Barack Obama’s strategy in Afghanistan, to show how internal strife and deep civilian–military animus shapes America’s policy abroad, often to the nation’s detriment.